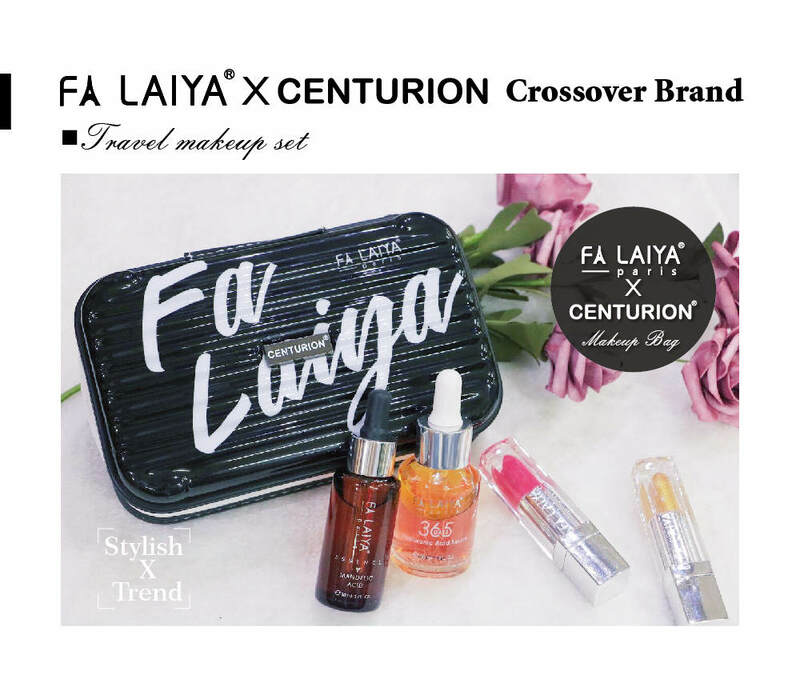 FALAIYA has crossover with CENTURION, launching the new “Makeup bag”, which is a carry-on bag that includes multiple functions. 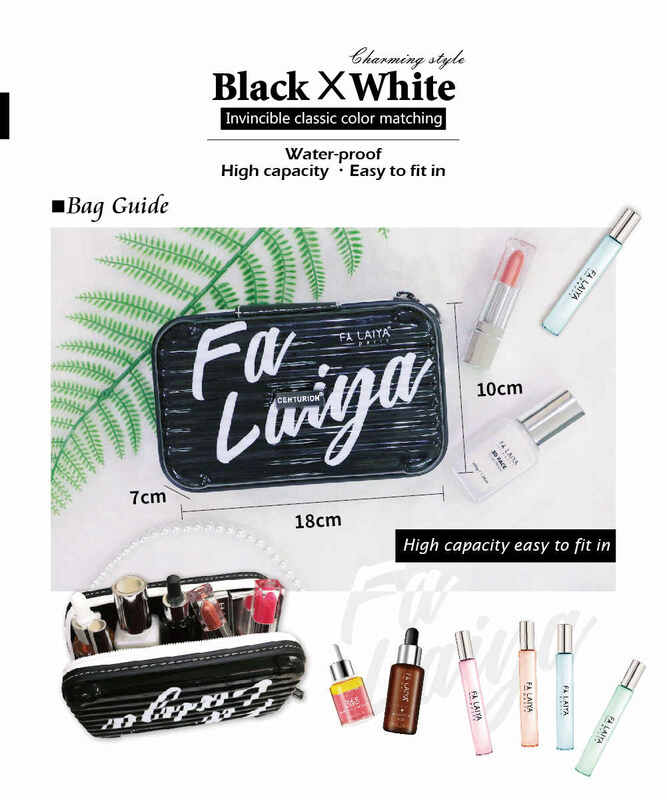 By the collaboration of Centurion’s exclusive patented flow line design with Falaiya’s classic black & white, for you to carry your essentials and show your personal style at the same time. 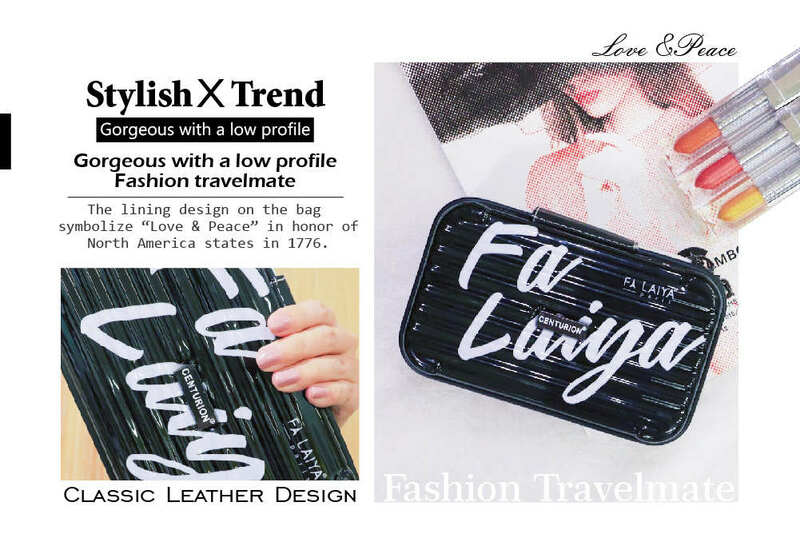 The Makeup bag with FALAIYA’S LOGO using a vibrant font is the first time for the American brand CENTURION and the French brand FALAIYA to create an exclusive collaboration series! ✈ The design with six convex and seven concaves on the bag symbolize “Love & Peace” in honor of North American states in 1776. ✈ The bright zipper symbolizes hope, and the colorful stitching represents power. ✈ The “full-open” design of the bag makes it easier to store and grab things out. ✈Bag lining with the delicate embroidered CENTURION Logo/ Symmetrical elastic storage bag.